PRICES for barley, wheat and sorghum have risen $5-$10 per tonne from season lows in the past week, with sorghum for June delivery trading yesterday at $362/t delivered Darling Downs. This shows a narrowing of sorghum’s discount to wheat, now at $65-$70/t compared with $100/t or more in January. 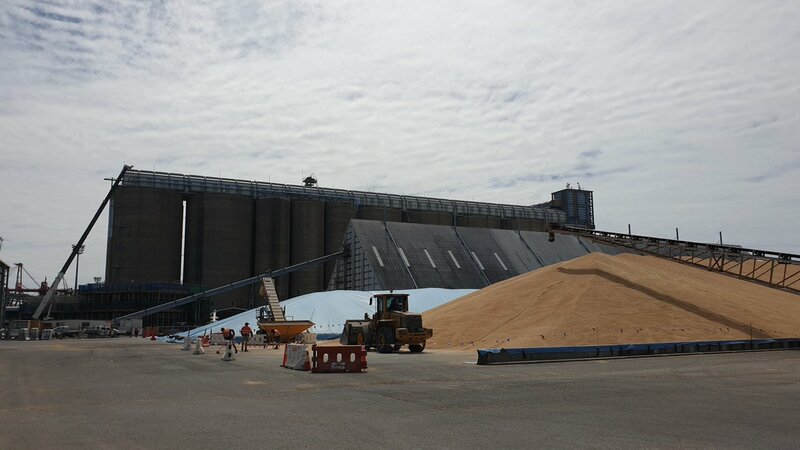 The narrowed spread has come despite a rise in the Brisbane free-on-truck (FOT) market, which reflects pricing of grain arriving by ship from Western Australia. Wheat is now trading at around $404/t in the Brisbane FOT market, up from the mid $390s last week, while Brisbane barley is trading at $355-$360/t, up from $350/t in the past week or two. In Victoria, ASW wheat has risen $3-4 per tonne in the past week, and is trading today for prompt delivery into Geelong and Melbourne at $397-$400/t. Barley has risen by as much as $10/t in the past week, and is now trading at $355-$360/t in Geelong and Melbourne, based on a firming free-on-board (FOB) market for Western Australian barley. The most recent export sale of WA high-quality barley is believed to have occurred at US$218/t FOB, which compares with $199/t for North American barley into Tunisia. The Japan sale and a tight global supply situation have helped to pull the WA track market from its lows of is A$283/t to more than $300/t now. Rising wheat and barley prices reflect nearby demand for grain from northern Victoria from as far afield as the Western Downs, which is of sufficient distance from shipped WA grain out of Brisbane to make road-freight from Victoria look attractive. Wilken Grain trader Andrew Kelso said the usual wait for an autumn break in Victoria and southern NSW was not as concerning as the prolonged dry in the north. Mr Kelso said the Victorian grain market had strengthened in the past week, with barley now $15-$20/t above its season lows. Broun and Co principal Wal Broun said some sorghum was being sold by Liverpool Plains growers for around $358-$360/t on farm, but volume offered was limited. Mr Broun said the sorghum market has been volatile in recent days, with strength in the Chicago market spilling over to the Australian market. The Newcastle FOT barley market has firmed $5-$10/t in the past week to $375-$380/t, reflecting the demand from the grazier marke. “There’s a lot of destocking going on, and not much dry feed around Armidale and Walcha, or to the north and south. Farm Tender online broker Dwain Duxson said hay prices have started to rally based on demand which spreads from dairy farmers and graziers in East Gippsland in Victoria to the Darling Downs, where feedlots are looking for roughage. “Demand for hay has picked up in the past three or four weeks, and a lot of people are just pulling the trigger and buying now,” Mr Duxson said. The cottonseed price cliff-face continued this week as the cotton picking season advanced in south-west Queensland, and impact of relatively small supply of ginned cottonseed was not yet reducing spot values compared with the significantly cheaper new crop quotes. “Prompt cottonseed values have remained around $770/t delivered Downs,” Woodside Commodities manager Hamish Steele-Park said. Only a small volume of hand-to-mouth trades are occurring.